Although Broody remained with 488(NZ) Squadron until a posting out to No.1 Radio School at RAF Cranwell on 05/x/44, no more operational or readiness flights were flown, and so this story has come to an end. 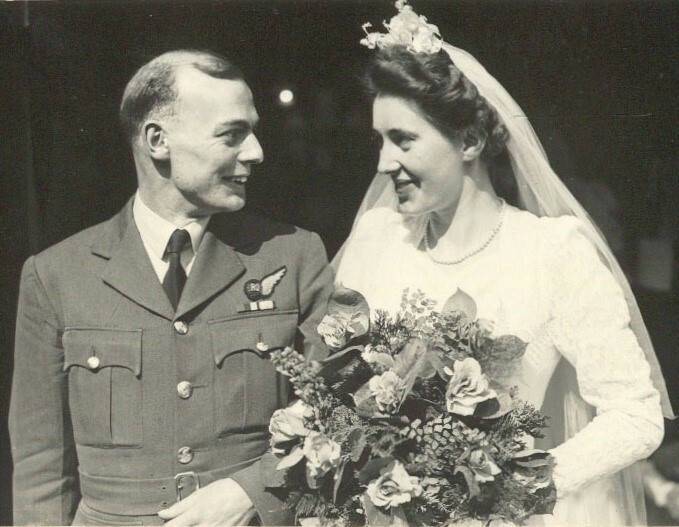 It would be near on impossible to summarise in this post what has been quite a year in the life of a young man who joined the RAF straight from Cambridge University in 1942. Fortunately, the ever meticulous Broody can provide a summary of the tour himself as recorded in his journal. Broody remained in the RAF until 1946, gaining a regular commission in 1945 and eventually reaching the rank of Flight Lieutenant. I do not have as much information on his later roles as I do for this tour, but maybe one day I will tell the next part of the story. 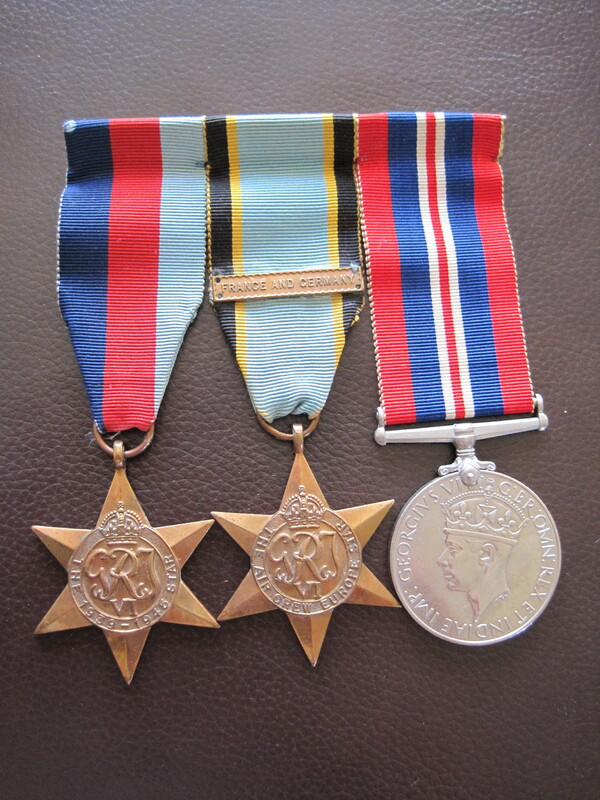 I am the proud custodian of Broody’s wartime medals. By the time hostilities ceased, Broody had been awarded 3 medals and one clasp. There is just one more part of this story to tell – and for me, perhaps the most important as it is the reason I am here today. 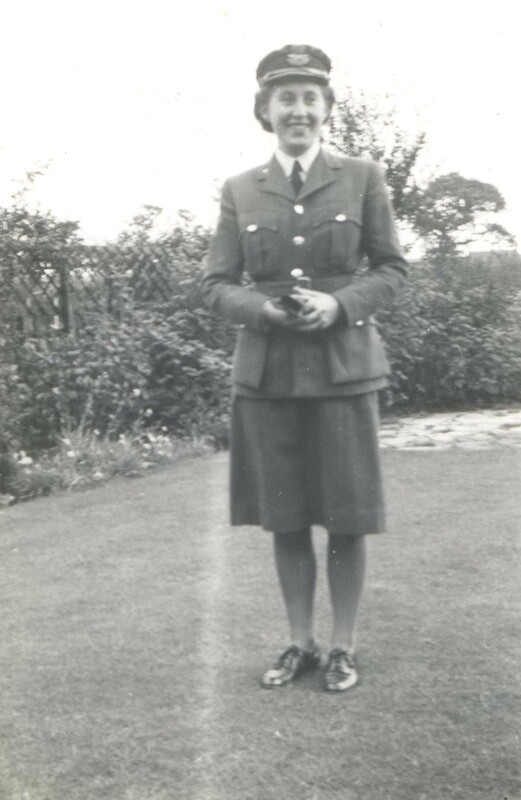 While at RAF Cranwell, Broody met a young WAAF officer, S/O Margaret Jean Weeks who was a Meteorological Officer. In her latter years, my grandmother took time to record some of her wartime experiences. Amongst these was the story of how she first met the man who was to become her future husband. “One evening I went with several others from our Mess to a party at another Mess (Signals). This became somewhat drunken. I remember one game where you held a poker on the floor and ran round and round it. One soon became very giddy and could fall into the nearest lap available. I still drank hardly at all, so I was sober and beginning to think how stupid everyone else appeared, when someone suggested a dance and someone else said, ‘Broody can play the piano’. Broody was dragged out of his room (having just returned from the cinema in a nearby town) and he played the piano. Not long afterwards, we WAAF Officers left to return to our own Mess. Next day, the sun was shining and it was a beautiful day. Cycling to the met Office, I saw someone outside the Parachute Section who seemed to be looking at me. Not wearing my glasses, of course, I couldn’t see who it was, but called out ‘Good morning,’ as I passed. Of course, Broody can add to this part of the story with his record of the flight in his journal. To arrange an engagement! Flying at 2-3,000ft above & through cloud & a cold front which had shown every promise of stopping the trip – cloud being at 200ft at Ringway at time of take off from Cranwell. Excellent Pilot. He has even included the weather forecast for the trip, prepared by my grandmother! 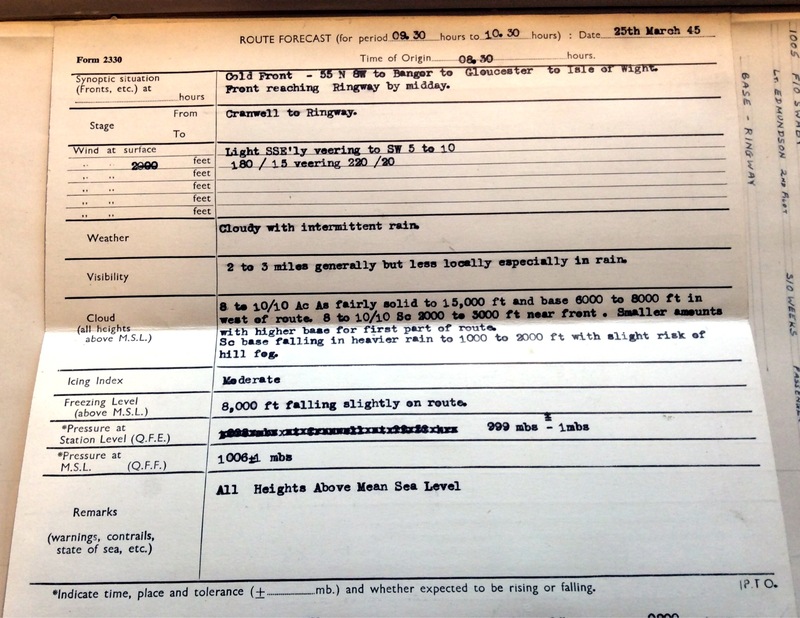 Weather forecast by S/O Weeks for the “Engagement Flight” from Cranwell to Ridgeway. 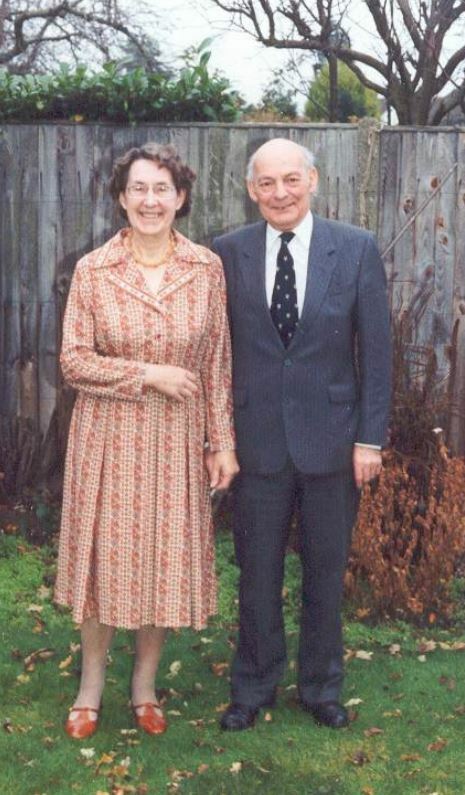 Broody & Jean were married in at St. Mary’s church in Cheadle on 6th April 1946 and went on to live a long and happy life together. They had 2 daughters, 4 grandchildren, and 8 great-grandchildren. I hope that you have enjoyed following Broody’s tour in “real time” as much as I have enjoyed researching and writing about his experiences. 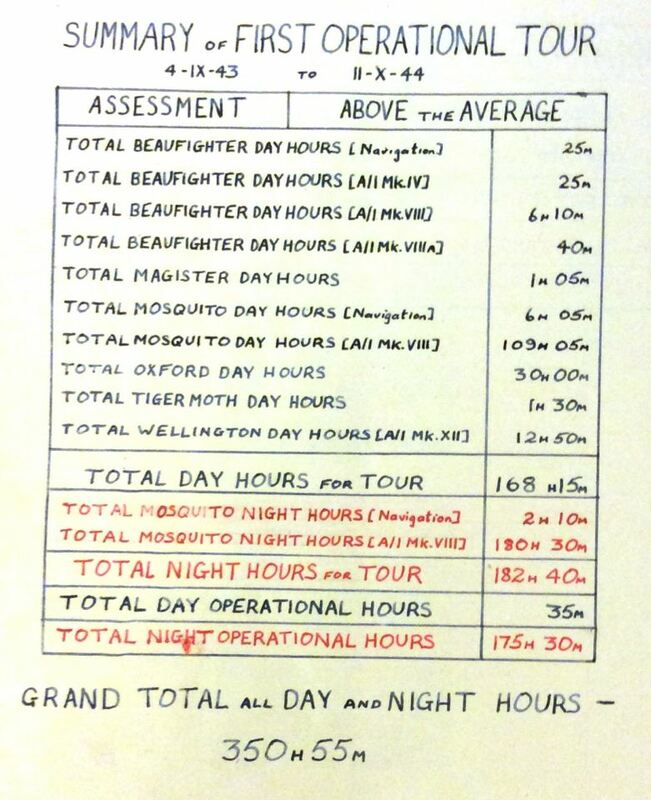 I have learned a lot, not only about my Grandfather’s role in the war, but about 488(NZ) Squadron, his aircrew colleagues – many of whom I now feel that I know personally, and the role of Night Fighters during the war. But above all, as each part of the story has unfolded, I have felt hugely proud of the part Broody played in the defeat of Nazi Germany. Of course, we must not forget the 21 men of 488(NZ) Squadron who were killed during Broody’s tour. Broody never spoke to me of these losses. These names, and links to Commonwealth War Graves Commission pages for them are all recorded on the Roll of Honour Page of this blog, but the final page in the journal, and therefore the best place for this story to end lists all these men in Broody’s meticulous hand. I wonder how he felt as he wrote down the names of colleagues and friends who made the ultimate sacrifice? I ask you to think about that as you once again read the names of these few men, who amongst thousands of others, gave up their lives for our futures. 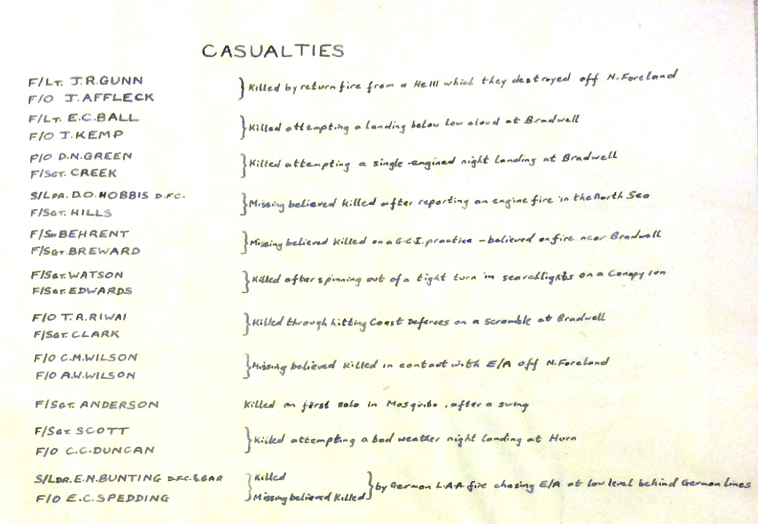 The casualties of 488(NZ) Squadron between September 1943 and October 1944. And there we are – the rest, as they say, is history. The Broodbank Collection – Catalogue now available!